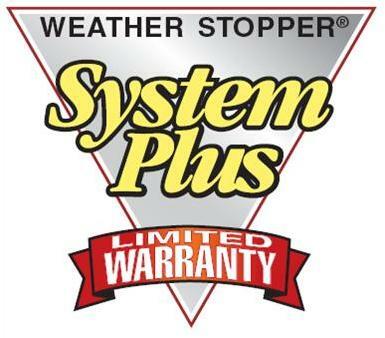 As your Anderson Township roofing contractor Sterling Exteriors offers you GAF Weather Stopper® System Plus Ltd warranty for your new roof. The chart above summarizes the key provisions of each of our GAF warranty. We invite you to sit down with Justin or Cory to discuss the advantages of our 50 year non pro-rated warranty. Studies indicate that more than two-thirds of the problems that people experience with their new roofs are due to the contractor’s workmanship, not the roofing materials. That’s why you should trust a GAF certified contractor like Sterling Exteriors with the installation, offering a 10 year workmanship warranty. Our attention to detail when installing your roof applies to the whole system. We only use high quality GAF products like GAF Cobra ridge vents, we also use 6 nails on every shingle we install to make sure your roof can withstand upto 130mph winds, unlike the typical contractor who uses 4-5 nails. Basically, there are two types of coverage that you should ask your contractor about: coverage against material defects and coverage against workmanship errors. Make sure you get both in writing. Most roofers who offer a “50 year” warranty offer a 35 year warranty that prorates after 15 years. We offer a TRUE 50 year warranty that NEVER prorates. Studies by GAF show that a new 50 year prorated roof will provide a 3-5% ROI. Illustrating that a new roof from Sterling Exteriors virtually pays for itself! Almost all roofing products come with a warranty against material defects, although your exact coverage will vary depending on the brand. For example, a typical shingle warranty will cover material defects for a period of 20-40 years or more. The warranty on the other components of your roofing system can vary from as little as a few months to several years. Many roofing warranties prorate early in the life of the warranty, make sure to ask your contractor when the roof prorates. It is important to remember that coverage against material defects is provided by the manufacturer, so you should select a brand from a manufacturer who is financially strong and therefore more likely to be in business for as long as you own your roof – which could be several decades! GAF’s warranties come with a special provision called the Smart Choice® Protection Period that covers you against material defects during the critical early years of your new roof (Up to the first 12 years). During this period, in the event that you experience a material defect on covered components, GAF will provide you with 100% replacement materials and the reasonable cost of labor to install them. This is important because some roofing warranties may only provide replacement materials, but not the labor to install them. The GAF Weather Stopper® System Plus Ltd. Warranty provides coverage against material defects for all major GAF components on your roof – not just your shingles – so you’ll have peace of mind knowing that if any covered roofing component fails, it will be covered by the warranty (see ltd. warranty for complete coverage and restrictions). The warranty is available through GAF certified contractors, and is a low-cost way to get 50 years of non-prorated coverage against material defects on your new roofing system. The reason our warranty differs from the rest is that most contractors offer a 35 year warranty that pro rates after 15 years, our 50 year warranty NEVER prorates. This is because we only use High-Quality GAF products throughout the whole roofing system ensuring that your roof functions properly over its entire lifespan. Does Sterling Exteriors cover me against workmanship errors? Once you become a Sterling Exteriors customer you are covered for virtually EVERYTHING within that 10 year period weather it pertains to your roof or not. Our 10 year labor warranty ensures that for the next decade either Justin or Cory will personally come out to your house for free to asses any problem that arises. This is in contrast to other contractors who typically only offer a 5 year labor/workmanship warranty. Make sure your home’s roof is ready to protect you from the elements. Contact Sterling Exteriors for a free estimate today by calling (513) 322-4777 or completing our online quote request form.